Celtic Cruises offers an exclusive range of specially planned cruises which explore the natural beauty, heritage and wildlife of south-west Wales and beyond. These exclusive cruises are designed for up to twelve persons, allowing you to enjoy the full maritime experience in space and comfort. Please note that the following cruises are a guide to the cruises we offer. Although the majority of cruises are planned as wildlife cruises, should there be sufficient demand for an alternative cruise type on particular dates, we will attempt to provide the cruise you desire. 2 Night Short Break - Opportunity for a leisurely cruise around the beautiful south west Wales coast and islands taking in the spectacular scenery and wildlife of the Pembrokeshire Coast National Park. 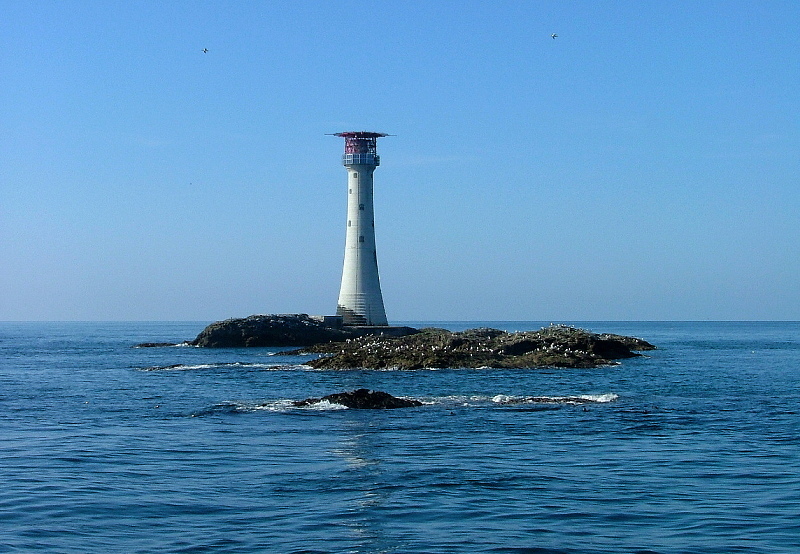 Chance to see seals and a variety of seabirds. The planned routes will take you via Tenby, Caldey Island and Stackpole head to Milford Haven where you will spend the night at anchor in the beautiful river Cleddau. 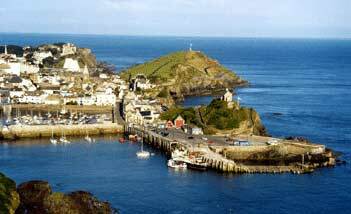 Next day you will cruise around the islands of Skomer and Skokholm and back to Dale to anchor overnight once again. 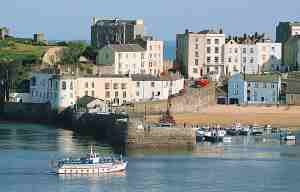 The final day will see you cruise back to Burry Port via the islands and Tenby. Cruising time averages approximately 6-8 hrs per day and there will be opportunities to go ashore at the Skipper's discretion to explore coastal estates, historic locations and wildlife reserves such as Skomer Island. Smooth water sailing is available in Milford Haven and the River Cleddau - the 'fjord' of Wales where we can cruise quietly up to Lawrenny and explore the stunning beauty of this hidden waterway. Overnight Welsh Coastal Cruise - A one night, coastal cruise taking in Gower and Carmarthen Bay then passing Tenby and Caldey Island, where you could see seals and a variety of seabirds. 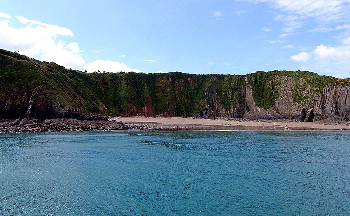 The night is spent at anchor either in Barrafundle Bay or at Tenby where there will be the opportunity to go ashore, at the skipper's discretion, and explore. Average sailing time is 4 - 6 hours per day. An alternative cruise would be around the beautiful Gower coast into Swansea Bay. A fantastic opportunity to see seals, porpoises, rare birds and a wealth of sea-birds, not to mention extraordinary coastal scenery! Also available is a deep water cruise specialising in the pelagic wildlife, run in association with the National Wetlands Centre. This cruise offers the opportunity to remain at sea overnight and maximise birding time. Why not try an overnight cruise for that special party or celebration? A very different way to celebrate a birthday or other special day! Catering facilities and a bar are all on-board in addition to the comfortable accommodation. Working as part of the Dolphin Coasts Initiative and the Sea Trust, we are pleased to be able to offer you the fantastic opportunity to enjoy watching whales, dolphins and other cetaceans in their own habitat, from our vessel Lo Entropy. These one night cruises embark at Mackerel Quay, Milford Haven, and cruise to the island group known as the Smalls, which is a prime whale and dolphin watching area. 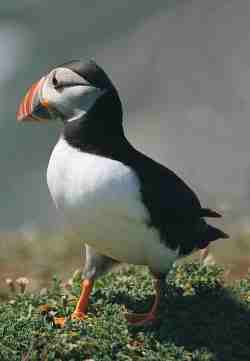 The cruises also visit the beautiful island of Skomer, a haven for wildlife and designated wildlife reserve. These cruises can be booked via the Sea Trust. 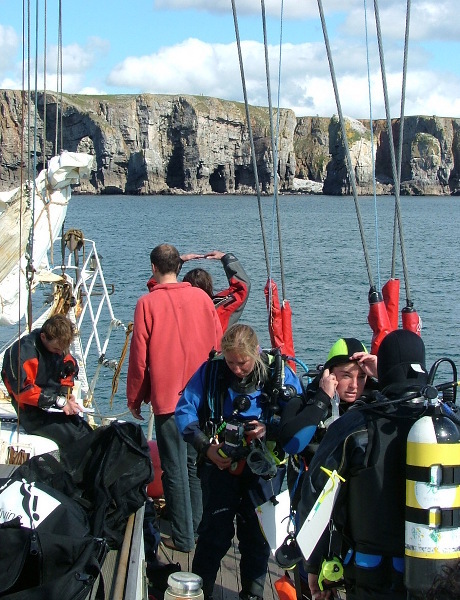 Celtic Cruises has teamed up with the West Wales Dive Centre and are pleased to announce the first of several exclusive liveaboard trips out to the Smalls for what is probably some of the best diving in the UK. 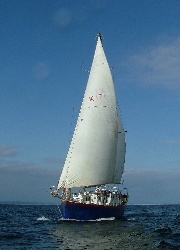 The Smalls are 18 miles off the coast of West Wales, on the way to Ireland. Due to the nature of the diving there, these trips will be open to experienced divers only, who have a minimum of 100 logged dives, and who are qualified to at least BSAC Sports/ PADI Advanced Diver qualification. 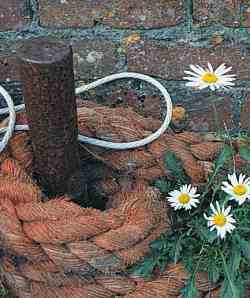 In 2005, 6 and 7 SEASEARCH chartered Lo Entropy for a liveaboard trip to the Smalls. They found us to be able to provide an ideal liveaboard diving platform. Read about the SEASEARCH Smalls trip here! 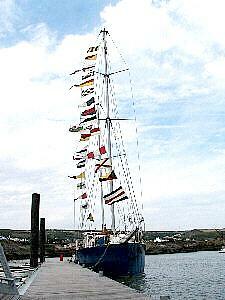 These one night cruises embark at Mackerel Quay, Milford Haven. 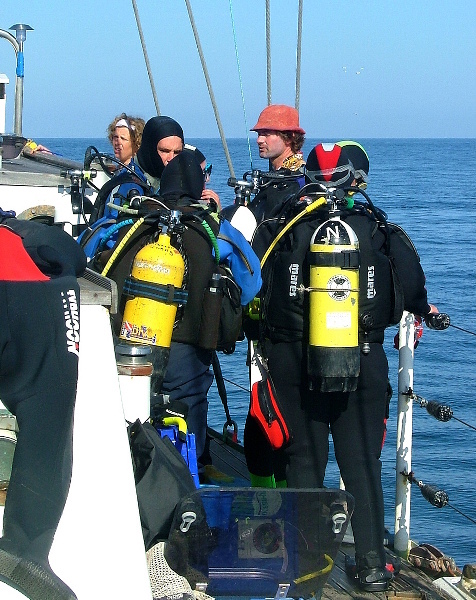 For further details about the pleasures of diving The Smalls, see the West Wales Dive Centre website. These exclusive cruises are organised by the West Wales Dive Centre and should be booked via them. Celtic Cruises are pleased to offer our superior liveaboard facilities to established diving clubs and organisations. Please call for details and prices. Lo Entropy provides live-aboard guests with a superior degree of comfort and facilities. 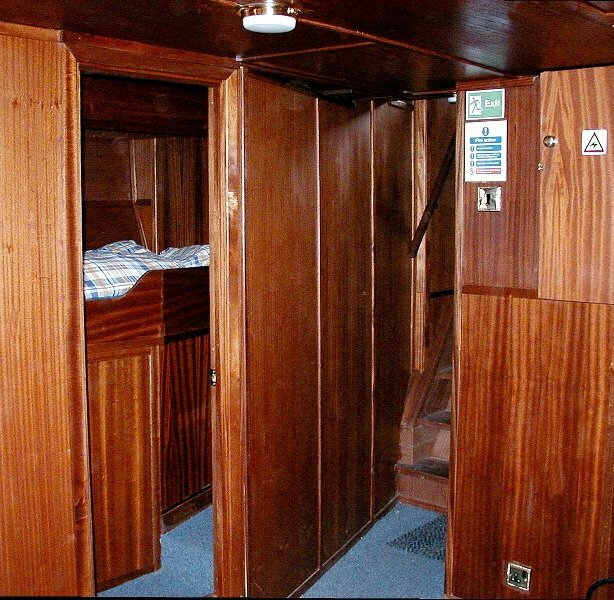 She has been specially converted to accommodate 12 people in 6 twin cabins, all of which have their own en-suite facilities (leave the water and shower immediately!) assuring the maximum comfort possible. 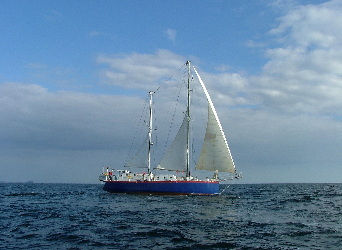 In 2005, 6 and 7 SEASEARCH chartered Lo Entropy for a liveaboard trip to South Pembrokeshire. Read about the SEASEARCH trip here! The upper deck has ample room for equipment preparation, or even sitting out and includes an observation and disembarkation platform at the stern. In partnership with Merlin Bird Tours we are proud to be able to offer hosted sea-bird holidays aboard our vessel Lo Entropy. Holidays take in the fabulous islands of Skomer, Skokholm, Ramsey, Grassholm and Lundy which are home to many types of sea birds including Gannets, Chough, Puffin, the list is almost endless! Holidays will be led by an experienced bird watcher from Merlin Bird Tours. 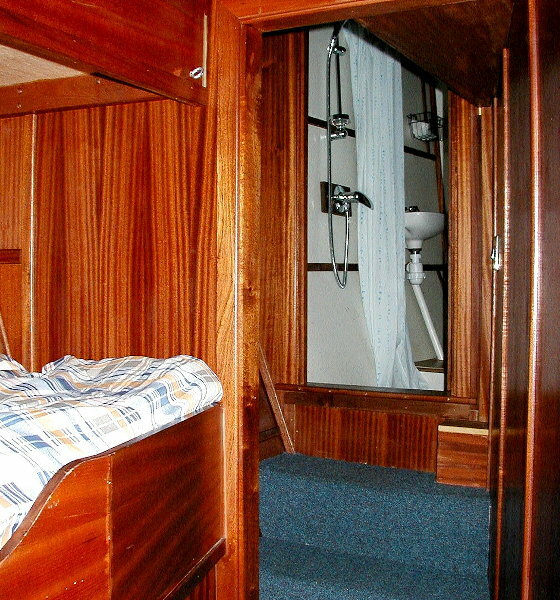 Accommodation is on-board in twin cabins with bunks and en-suite facilities. 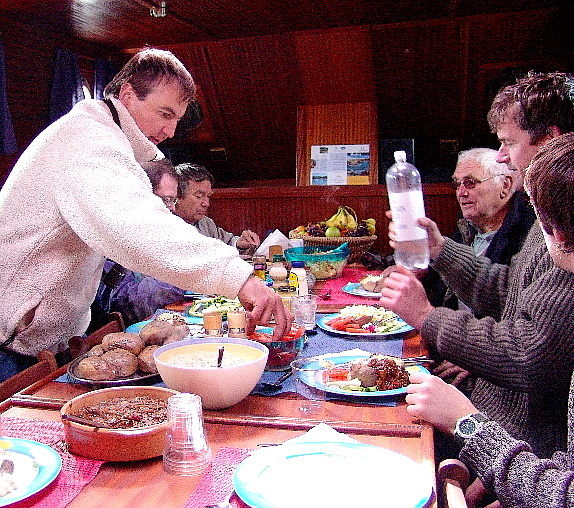 All main meals are prepared on-board using local produce when possible and are included in the price. A cash bar and sundries shop is also available. Prices from only £125 per person per night. Prices include on-board accommodation and main meals. Early booking recommended as places for all cruises are limited. Group bookings available at reduced rates (minimum 10 people) making Celtic Cruises ideal for that special celebration event. Special offers usually available especially for groups please contact for details. We are able to embark a group from most harbours in the Bristol Channel and would be pleased to discuss your requirements. Celtic Cruises provides a unique setting for business meetings and functions by combining excellent on-board facilities with the freedom and beauty of being at sea in west Wales. Hold your business meetings whilst cruising the spectacular coastline of Pembrokeshire stopping to view the magnificent wildlife such as seals, puffins and little egrets. Discussions over drinks and dinner on-board can be held surrounded by the sounds of sea birds and the beauty of towering sea cliffs. Distractions at sea are minimal ensuring that you have the maximum opportunity to engage in discussions with management teams or customers. Our vessel Lo Entropy is a 20 metre sailing ketch which can accommodate up to 12 people in 6 twin cabins, each with their own facilities, for overnight cruises. The event facilities offered include an upper saloon which can seat 12 formally around a conference table or alternatively a combination of seating arrangements for discussions and presentations can be accommodated. The lower saloon offers an additional opportunity for small group work and the open deck is available too for informal functions. We are able to supply the necessary infrastructure for meetings and presentations including flip charts, PC/projector, OHP etc. Catering facilities, including a bar, are available on-board and we can supply a variety of meals including buffets, BBQs and full formal dinners.